DAMAN, January 30th 2013: 2nd of February, the historical date (02.02.1559) when Damão first came to be, has been celebrated worldwide by Damanenses as ‘Dia de Damão’ (Daman Day) for centuries. The festival is a celebration of the unique culture of the people of Daman and includes musical festivals, food festivals, traditional/folk dance performances, art & craft displays and various competitions that encourage artistic expressions of their culture. The celebrations begin in August, along with World Goa Day celebrations, in countries like the UK, US, UAE, Canada, and Holland among others, and culminate on Daman Day on the 2nd of February which is celebrated in Daman, Macau and Portugal. Daman Day is a self-financed initiative of the Damanenses under the aegis of World Goa Day and its founder, UK-based Rene Barreto. Each participating country has a ‘Country Coordinator’ who is in constant touch with the Daman-based ‘Overall Coordinator’ and founder, Noel Gama. Beginning last year, the organisers in Daman, teamed up with the Daman Municipal Council (DMC) to celebrate the event jointly as the council has already been sponsoring the traditional annual mass commemorating the feast of Our Lady of Purification and N S das Candeias every February 2nd at the DMC Square. The event launches with high mass in honour of the patroness of the city, Our Lady of Purification at 6pm, followed by a cultural program showcasing Damanense folklore which will include a play in Portuguese, Damanense folklore and traditional Portuguese and Damanense dance performances by local artists and musicians. I’ve changed the format from the PDF version to a double opt-in eZine. All you have to do is go to www.Discover-Daman.com and subscribe by entering your first name and email address in the boxes provided at the bottom of the page or on the top/left margin of other pages on the site. Once you subscribe, you will receive an email requesting you to click a confirmation link, after which you will receive a welcoming email. Your subscription will begin with the next issue once you’ve confirmed it! Subscribe to “VIVA DAMAO!” Ezine! Don’t worry — your e-mail address is totally secure. only to send you Viva Damao!. https://noelgama.com/wp-content/uploads/2017/03/winner.jpg 0 0 Noel Gama https://noelgama.com/wp-content/uploads/2017/03/winner.jpg Noel Gama2009-02-09 13:39:002009-02-09 13:39:00Subscribe to "VIVA DAMAO!" Ezine! DAMAN GLOBAL eNEWSLETTER – Issue -2 uploaded! Issue -2 (Vol. 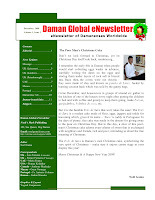 I) of the DAMAN GLOBAL eNEWSLETTER has been uploaded! You can download the PDF file by going to http://public.me.com/noelgama where I’ve also archived the previous issue. If the link doesn’t work, kindly copy and paste it into your web browser. https://noelgama.com/wp-content/uploads/2017/03/winner.jpg 0 0 Noel Gama https://noelgama.com/wp-content/uploads/2017/03/winner.jpg Noel Gama2008-12-18 10:42:002008-12-18 10:42:00DAMAN GLOBAL eNEWSLETTER - Issue -2 uploaded! DAMAN GLOBAL eNEWSLETTER – Inaugural Issue uploaded! 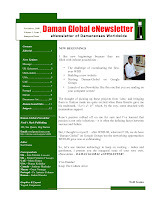 Daman’s first global eNewsletter has been released today – 6th November, 2008! https://noelgama.com/wp-content/uploads/2017/03/winner.jpg 0 0 Noel Gama https://noelgama.com/wp-content/uploads/2017/03/winner.jpg Noel Gama2008-11-06 14:50:002008-11-06 14:50:00DAMAN GLOBAL eNEWSLETTER - Inaugural Issue uploaded! https://noelgama.com/wp-content/uploads/2017/03/winner.jpg 0 0 Noel Gama https://noelgama.com/wp-content/uploads/2017/03/winner.jpg Noel Gama2008-10-31 14:49:002008-10-31 14:49:00"Discover Daman" Homepage up!! soon… maybe the 20th of August?